They'll daydream of paradise in the Balmain Kids® Short Sleeve Summer Balmain Tee. Branded, beach scene graphic throughout with "Summer" across the chest. Product measurements were taken using size 12Y. Please note that measurements may vary by size. 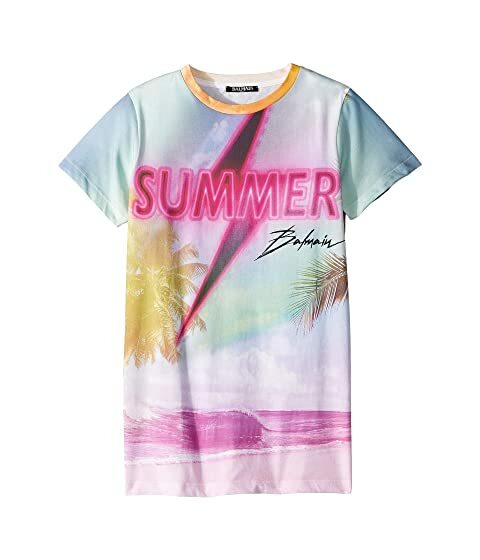 We can't currently find any similar items for the Short Sleeve Summer Balmain Tee (Big Kids) by Balmain Kids. Sorry!